In our exclusive chat with Hatebreed's Jamey Jasta, the vocalist opens up about a host of topics and holds absolutely nothing back. He talks about the self-titling of their newest album, saying "It's a definitive record for us" and also mentions how some of the band's stylistic changes have gotten fans talking. "'Every Lasting Scar' has that Agnostic Front, Sick of it All, almost Ignite-type chorus, and the vocals are more melodic. ut for the rest of the record, I went super hard, vocally," Jasta also said. "With 'In Ashes You Shall Reap,' it got people talking. At this point, we're damned if we do, damned if we don't. It's literally two lines in the song and it caused a stir, but people are going nuts over it." 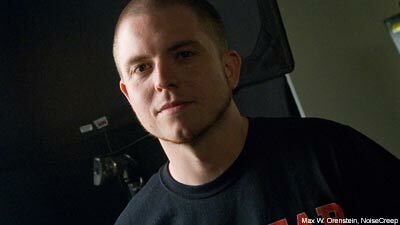 Jasta also touches upon the recent exit of longtime guitarist Sean Martin, correcting the notion that Martin quit the band to be a full-time hip-hop producer. "He is producing and doing other stuff, though," Jasta said of his former partner-in-crime. He also gave us the scoop on his other projects, such as running his label, Stillborn Records. "Putting out records is fun," the singer said, "I like helping young bands that are hungry. That keeps me grounded and humble." Hatebreed's 'Hatebreed' is in stores now via E1 Entertainment. The album debuted at #8 on the Billboard Hard Rock Chart, scanning 15,000 units its first week in stores.